In honor of the release of Honor Among Orcs, I'm reposting some of my "Orc Romance: In Progress" posts from those days in 2012 when I first began writing it -- with my early thoughts on what makes an orc, and those creatures which seem to have influenced our ideas of them. Here's the second! These Beowulf illustrations predate Lord of the Rings by a couple of years, though not Tolkien. In fact, with a publication date of 1908, I almost wonder if Tolkien read this particular edition. 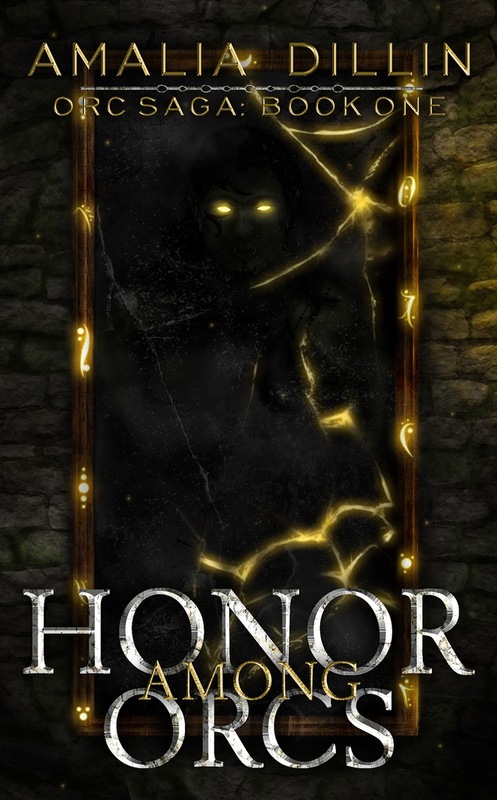 And if you're interested in another reimagining of orcs as we know them, be sure to check out HONOR AMONG ORCS, where Tolkien meets Beauty and the Beast! I always imagined Ghrendle as a troll. Or a very large goblin. Honor Among Orcs looks good. I think I just imagined him dragon-like because of the dragon that appears later in the story. In my head, they all kind of blend together into a related trio. RELEASE DAY for HONOR AMONG ORCS!